This means that slab one and slab two will be sliced and polished to create an exact replica of one another. Due to the characteristics of the marble, the slabs are ‘book-matched’. 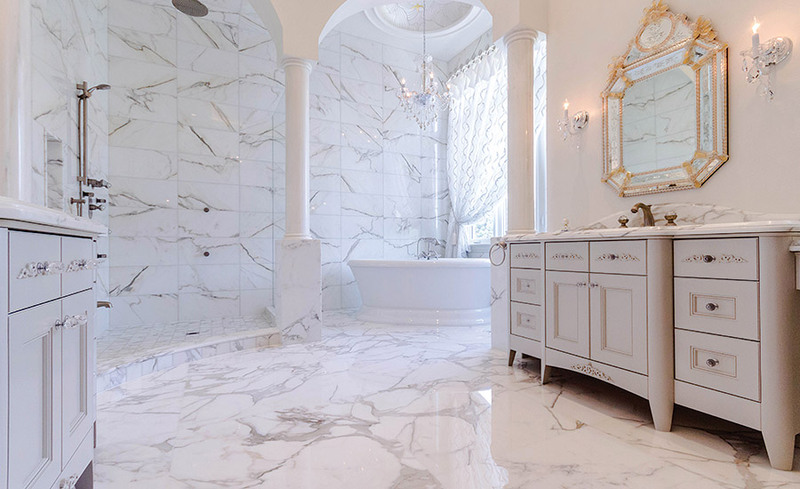 Calacatta Gold tile is a pristine tile to use for your home décor. It gives any room a royal feeling and a clean expensive look. Sealing the slabs and using a cutting board when suitable are strongly suggested.